February 27th is International Polar Bear Day, and it’s a good time to honor the polar bear, take some time to learn about the animal and its habitat, and to take concrete steps to conserve the polar bear and its natural habitat. Polar bears have faced numerous threats over the years, including overharvest by humans, and contamination by toxic chemicals like PCBs (polychlorinated biphenyls). PCBs are a neurotoxin and endocrine disruptor once widely used in coolants, insulators, and other industrial materials, that seriously affect the fertility of polar bears and can be passed on to cubs during nursing. Those threats were grave, but addressing them was relatively manageable. The Agreement on the Conservation of Polar Bears, signed by all five polar bear nations in Oslo in 1973, established regulations on polar bear hunting, while protecting indigenous people’s rights to traditional and subsistence hunts. This was the first international agreement to address the conservation of polar bears, and it went a long way to protect polar bear populations worldwide. GBF President and co-founder, Dr. Charles Jonkel, was among the team that drafted that agreement, often cited as one of the most successful efforts to conserve polar bears to date. Global restrictions on the production and use of PCBs have significantly reduced the levels of PCB-related contaminants found in polar bears and other marine mammals. A study by the Norwegian University of Science and Technology (NTNU) of polar bears in Svalbard found that, after PCBs were banned or restricted by several industrialized nations, PCB levels in the bears studied dropped by nearly 59% over a 10 year period. These successes in polar bear conservation remind us that, armed with scientific knowledge and the will to make real policy changes, we can successfully address some of the serious threats to wildlife and habitat. Today’s problems, particularly loss of sea ice due to climate change, seem overwhelming. Climate change is a massive issue, and it can often feel abstract, far away, and hopeless. How can one person address such a huge problem? And is it too late? And what about the other threats to polar bears and their habitat, like increased industry and shipping in the Arctic, exploitative tourism, food-conditioning, and increases in human-bear conflict? Yes, it is overwhelming. And, some of these things may be too far gone to reel back in. But, that doesn’t mean that we can’t make things better. We can take the small daily steps necessary to cut back on our fossil fuel consumption, but is that enough? Maybe not, but the waves we create by taking those steps just might be enough to effect positive change. Choosing to do the right thing, and to make real lifestyle changes to simplify, and to live more gently within our environment is the best possible example we can create to start changing attitudes, to communicate to our friends, neighbors, families, and coworkers that we care about the natural wonders of our world, from polar bears to our fellow humans that we share this planet with. Attitude and lifestyle changes are just what we need to better share this planet, and to give one another the hope that maybe our actions can make some difference, even in the small circles around us. And at the same time, we work for policy changes to curb our fossil fuel use, transition to greener energy, eat more locally and mindfully, and to live more gently within our own habitat. 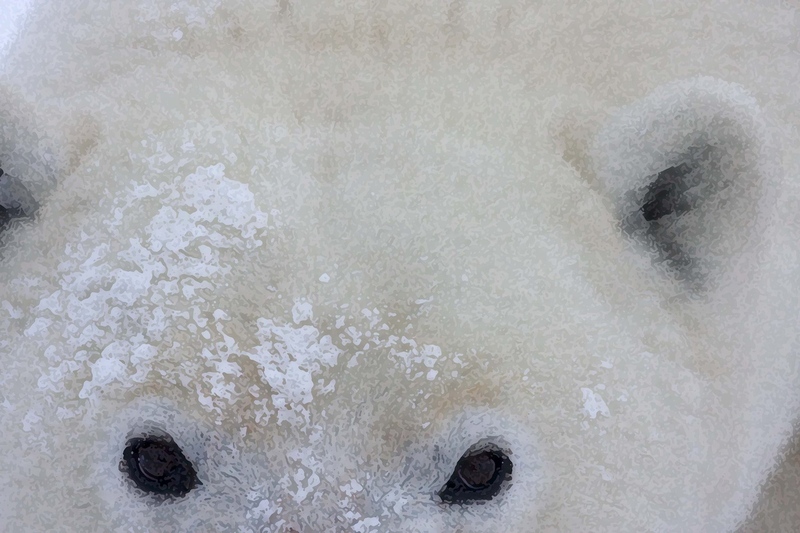 Maybe future generations will still live in a world with wild polar bears. We have the technology, we have the resources, but what we really need is the will to make real changes to stop destroying our own habitat, and the habitats of other creatures we share this planet with. Please take a moment today to honor the polar bear. And, while you do that, think about what you can do to lighten your footprint. What we really need, more than a day dedicated to polar bears, is to make a choice to live more gently, and to follow through with that choice. The Great Bear Foundation is offering two arctic ecology field courses in Churchill, Manitoba this year, in August and November. If you are interested in learning about the polar bear in its natural habitat, click here or contact us at gbf@greatbear.org for more information. All proceeds directly fund bear conservation and education.